Ryan's practice focuses on plaintiff's personal injury, virtual general counsel services, and litigation. Ryan’s personal injury practice is devoted to representing families and individuals who have been injured in automobile crashes or by a professional’s negligence. In that regard, since 2009, Ryan has been an Eagle member of the Washington State Association for Justice, formerly known as the Washington State Trial Lawyers Association. Ryan takes tremendous pride in being a plaintiff's personal injury attorney. His services obtain justice for his clients and protects the community from entities who attempt to exploit the law rather than abide by it. Ryan’s virtual general counsel services provides cost effective and practical legal representation for startup, developing and established businesses in the areas of business and employment law. Through these services Ryan also represents businesses in a variety of transactional contexts including the preparation of contracts and other legal documents, corporate governance and entity formation. To see client reviews of Ryan’s services please click here. Ryan earned his law degree from Seattle University School of Law in May 2008 where he graduated with honors. During law school, Ryan worked in the legal department at Insightful Corporation and volunteered as a lawyer at the Ronald A. Peterson Law Clinic where he worked on a clemency petition for a man convicted under Washington State’s “three strikes” law. After graduating from law school Ryan and his father, Tim, founded Pauley Law Group, pllc. 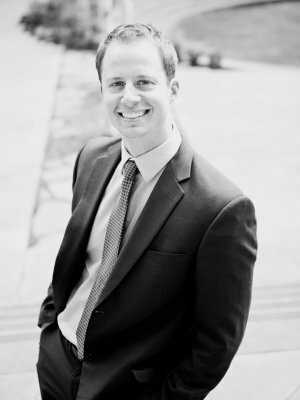 Ryan also holds a business degree in Finance from Washington State University and worked as a financial consultant for three years before beginning his legal career as an attorney. Ryan and his wife reside in Seattle they have two daughters, Gabriella "Gabi" and Gwendolyn "Winnie". To see Ryan’s complete resume, please click here. If you'd like to hear directly from Ryan on what he believes makes him an exceptional attorney, please click here.